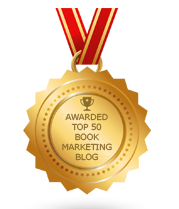 BookMarketingBuzzBlog: Will Book Publishing Be Great Again? Will President-elect Donald Trump and the Republican Congress that swept into power make America great again? That certainly will be up for debate but the question that really begs itself is this: Can we make publishing great again? 1. If the Republicans cut taxes on corporations and the wealthy, as they’re stated they would, the short-term impact will be positive on two fronts: the economy will grow and more money can be spent by publishers and consumers. Additionally, unfortunately, there will be long-term problems as a result a government taking in less tax revenue than it needs to pay for social services, from education, library funding, and literacy programs to all kinds of programs that help veterans, the elderly, and disabled. Publishers will not be able to sell as many books to libraries with slashed budgets. 2. The Supreme Court awaits the appointment of a ninth and decisive judge. Trump is getting the pick President Obama was supposed to make. Further, with two liberal justices aged 80 and 83, there’s a fair chance Trump replace one or both of them in his first term. If he goes two terms he permanently remakes the law of the land for the next three decades – maybe more. 3. Trump has talked about wanting to crack down on the media. Who knows what policies he’ll try to push forward or squash or deny as he oversees the FCC and other communications agencies. He doesn’t appear to talk up the First Amendment the way he does the Second. Could he be the first president to sue media outlets? Not only does he have the legitimate powers and influence of government, he has billions of dollars at his disposal, to be used to threaten the voices of others. 4. Certainly, there will be an explosion of books coming about this historical election. So much change is feared and anticipated, and there will be plenty of books taking sides and analyzing policies. 5. Trump doesn’t’ appear to be an intellectual who will reference books the way Obama does, but he’s not unfamiliar to the publishing world. He’s penned several bestsellers and many books have been written about him. Though he’s more likely to host a BBQ for military generals than have a campfire roundtable with poets, Trump very well could pen books not just once he’s out of office, but while in it. 6. Trump is simplifying language in his public discourse. His sentences and vocabulary level are not complex or sophisticated. He overuses superlatives like amazing, tremendous, great, and wonderful. Lexicologists will have to stuff cotton in their ears during his presidency. 7. If Trump tears up trade deals and makes us a more isolated nation, or if the dollar rises under his office, or if he makes the cost to other countries of doing business with us higher, then our exports of books could suffer. Overseas book sales are challenged under a Trump presidency, but at the same time, a decline in imports may occur as well. 8. If the economy rises and real estate grows, more bookstores that can’t afford high rents could see themselves struggling to survive. This would be a problem for any president, but the costs, could be accelerated when the president suddenly wants to double our economic growth. 9. Authors depend on accurate, complete, public records to research their books. Would a Trump presidency not make all informant available? Would he de-fund certain parts of the government tasked with calculating and recording such data? 10. If a Trump presidency severely limits immigration – and if he makes good on his mass deportation, promise – will this leave us as a smaller nation with fewer book buyers? Will Trump continue to hog the media headlines and drown everything else out to the point that books can’t be marketed and promoted like they used to be pushed, simply because authors can’t compete with the Twitter-in-Chief? There’s a lot of wild speculation, fueled by divisive campaigns and a surprise outcome, but all of these predictions and projections mean little. We’ll have to wait and see how things unfold, both for the country and the book publishing industry. Will we see more Art of The Deal or more Art of the Impeachment? Will we see publishing made great again or will books get tossed into our cultural fireplace? I think back to Lord of the Flies. There’s a part where Piggy has his glasses broken. He can no longer see. He represented intellect and common sense. Have we lost our way – or does a new vision await us?